“Life is an ugly, awful place not to have a best friend.” Halley was always the quiet one growing up, following her parent’s rules and being her mother’s miniature version. Scarlett, however, was always the braver, more outgoing child, left to parent her wild, adventurous mother. None the less, somewhere down the line fate brought them together. Since that day, where ever one was the other was right behind. The summer before their junior year, when Halley gets a one am phone call from Scarlett, things aren’t any different. Halley rushes home from camp to find Scarlett, strong, optimistic Scarlett broken down over the news of her boyfriend’s death. Quickly Halley finds the roles of their friendship to be reversed. That only grows more certain after the shocking news of Scarlett’s newly discovered pregnancy. Halley has to learn how to be strong for Scarlett, as well as discover who she really is all in one unforgettable year. Life will never be the same, but that’s the thing when you have a best friend, you don’t mind. Someone Like You is yet another unforgettable novel by Sarah Dessen. Through 281 pages Sarah shows us the meaning of life, love, lessons and the unbelievable power of friendship. Someone Like You is an easily relatable read for any teen both male or female whose ever had a best friend that challenged them, loved them, guided them and taught them things about themselves they never knew. Growing up is difficult, but it’s ten times easier with a best friend and Sarah Dessen proves that point with this amazing novel. She captures the essence of teen pregnancy, rough childhoods, relationships, high school, and most importantly friendship all in one realistic, yet fictitious story. 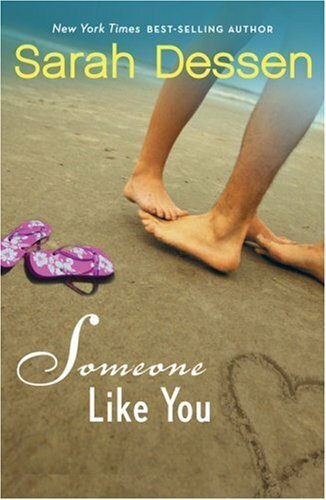 Someone Like You tells a story sure to captivate any teen looking for an enjoyable, surprising, life changing read. Sarah truly deserves the title of New York Times Best-Selling Author, with stories such as this amazing read.